spacers. The kit is completed with Grade 8 hardware. race) where engine deflection needs to be reduced and additional clearance is required. 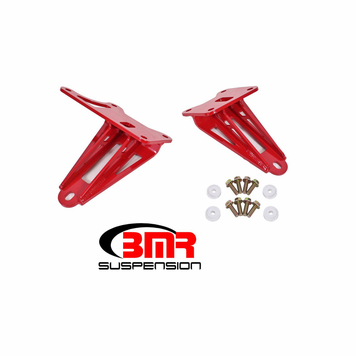 performance is a must, rely on BMR Suspension! 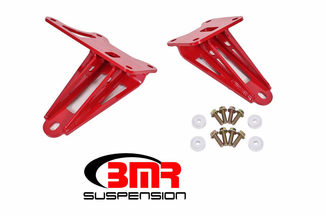 red powdercoat for long-lasting good looks in your car's most harsh environment.